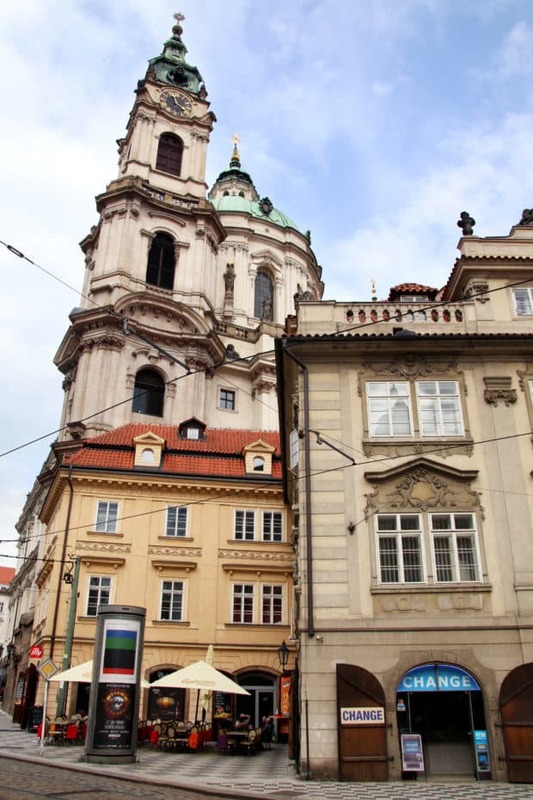 When I think about the top five cities to hit in Europe, Prague always makes the list. The old-meets-new enchantment of the city is breathtaking and the food and cocktail scene is insane. I spent days experiencing the city and was able to narrow it down to the top things to eat, drink and see (not to mention where to stay!) 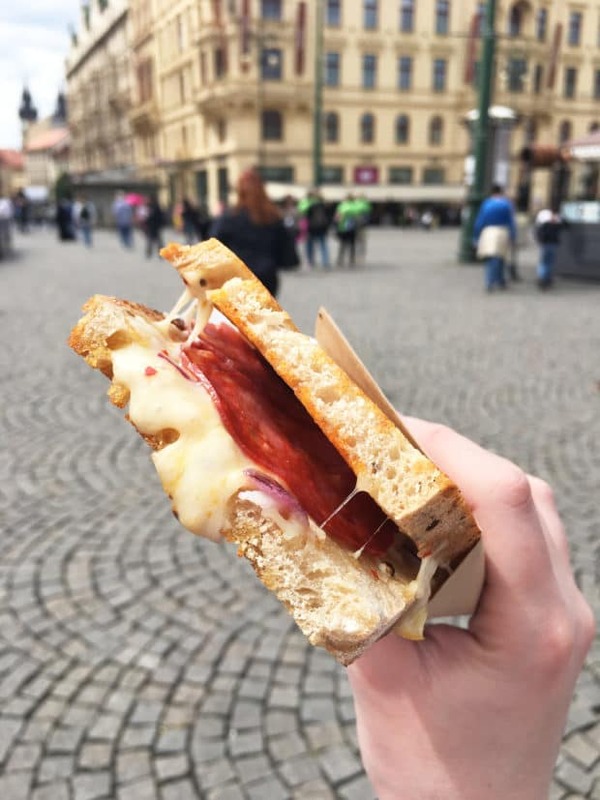 in my 48 Hour Foodie Guide to Prague. Even if you have more than 48 hours to experience the cities, this round up is the best of the best to incorporate into your itinerary! Disclosure: This post is sponsored by AnonymouS Shrink’s Office, Eska, and The Nicholas Hotel Residence! As always, all opinions are my own. Thanks for supporting the brands that support Cake ‘n Knife! 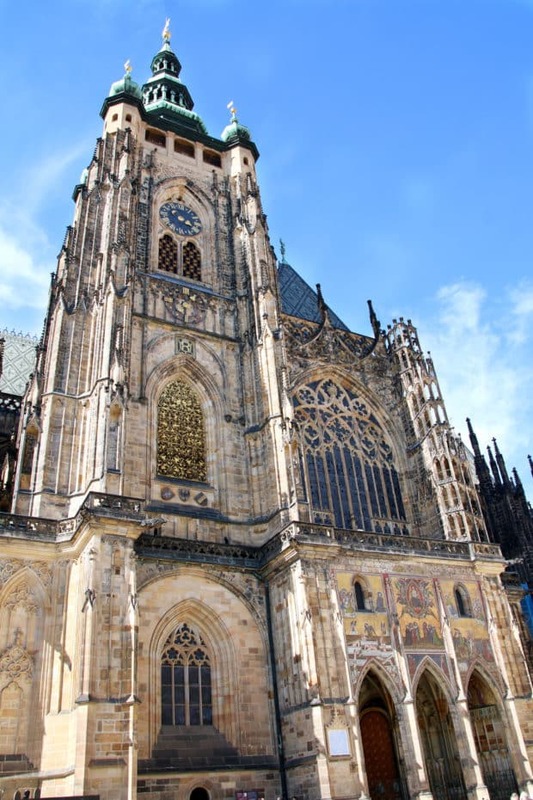 If I had to name my top five cities in the world that I recommend visiting (and would go back to time and time again), it would be Prague. To be honest, Prague wasn’t always on my bucket list. It was one of those cities that looked intriguing, but I didn’t know enough about it to know I wanted to visit. 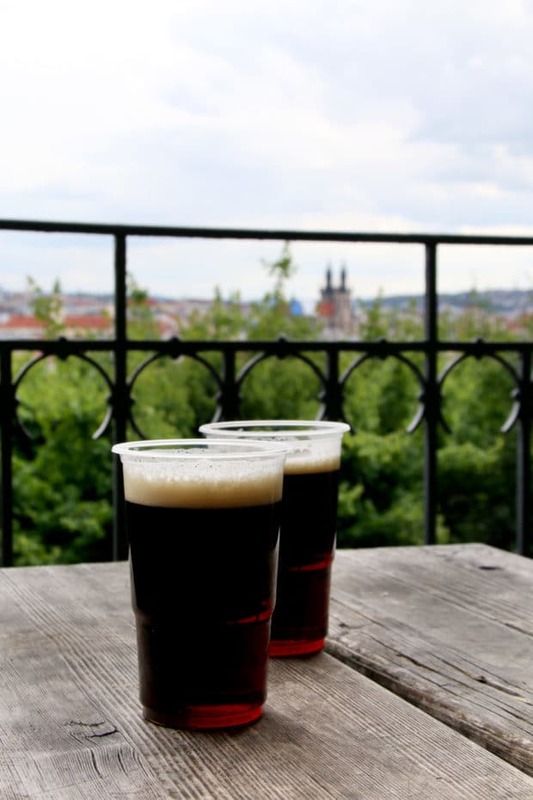 Prague is a city that is going through a revitalization and all foodies, cocktail snobs, beer lovers and adventure seekers need to take note. 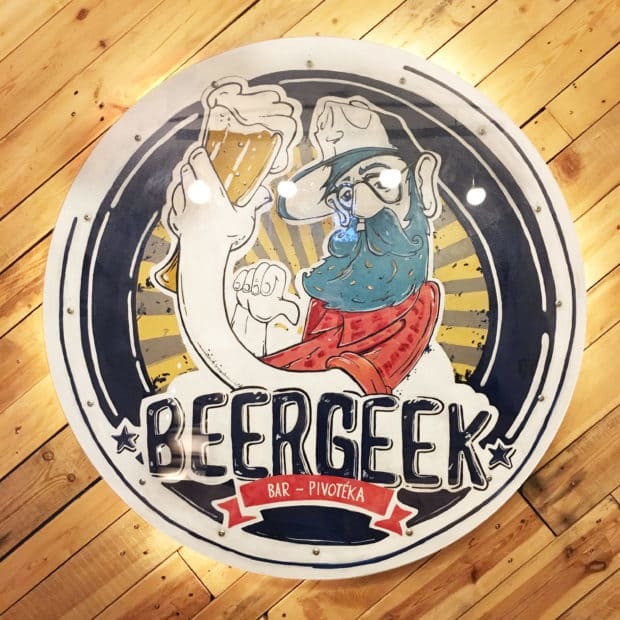 From turning unused old cellar spaces and turning them into funky hip bars and restaurants to an actual beer SPA, the city is taking it to the next level. 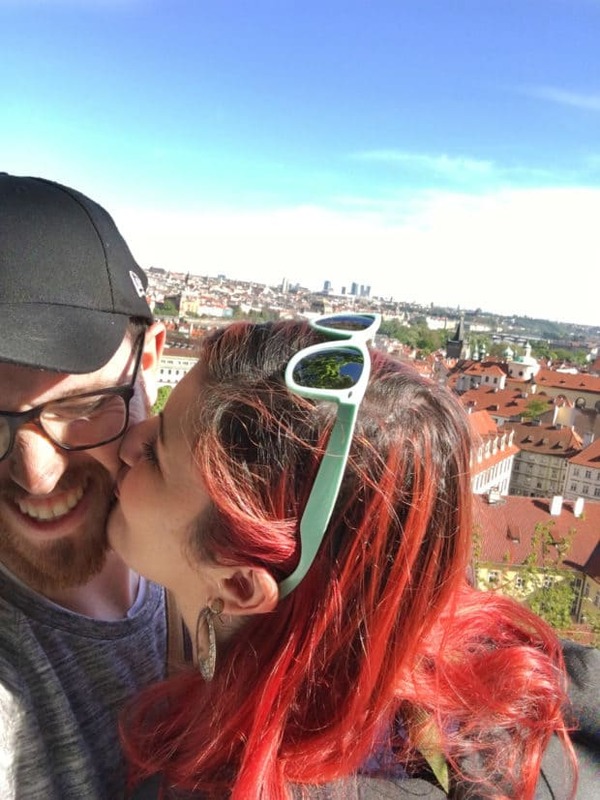 The Man and I spent the majority of our time in Prague to soak up the history, and we ended up experiencing so many new and unique things as a crazy bonus. I was actually pretty awestruck by the city and all the things that are happening in it. I’ve been to Europe several times and have experienced the old/new combination in many cities, but Prague is different. It has the combination of old and new, but it seems to be embracing the new on a whole new level without losing any of the history. 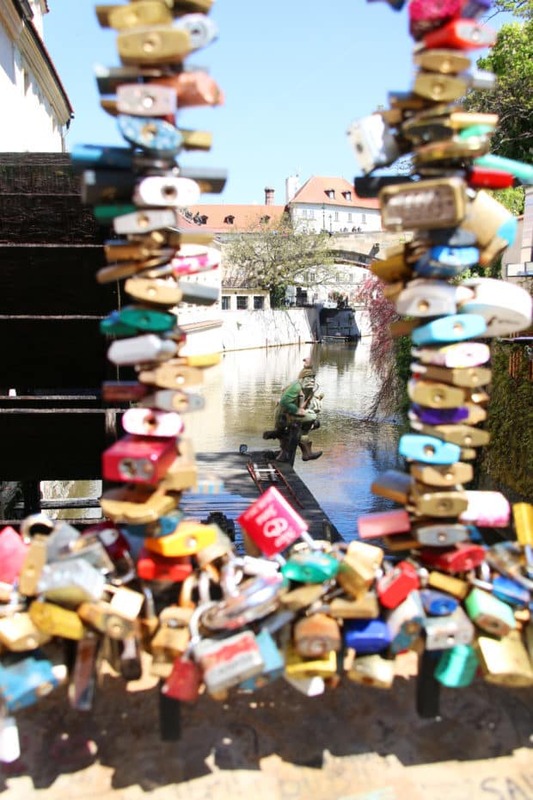 It’s SO hard for me to sum up the enchantment that is Prague… So let’s just dive right in, shall we? 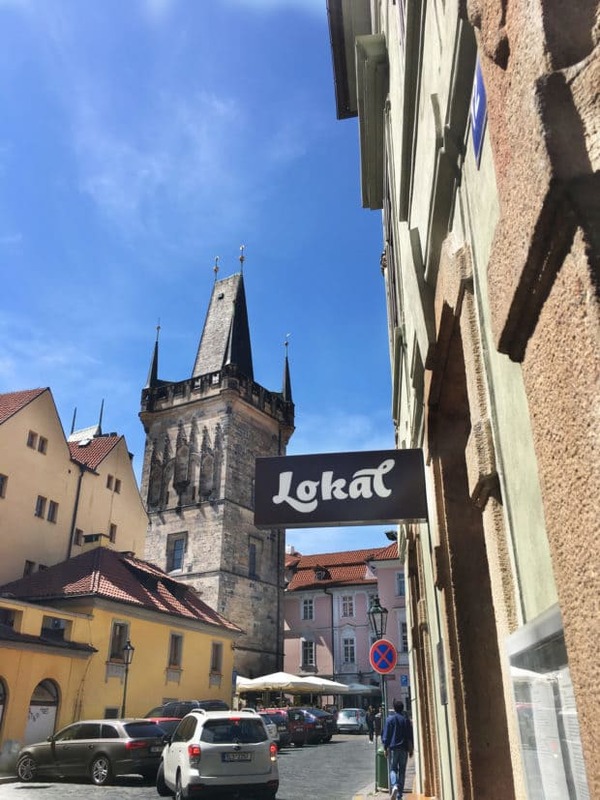 If you are looking for the best place to eat lunch in Prague, you have to go to Michelin Bib Gourmet award winning Eska in the Karlin district. 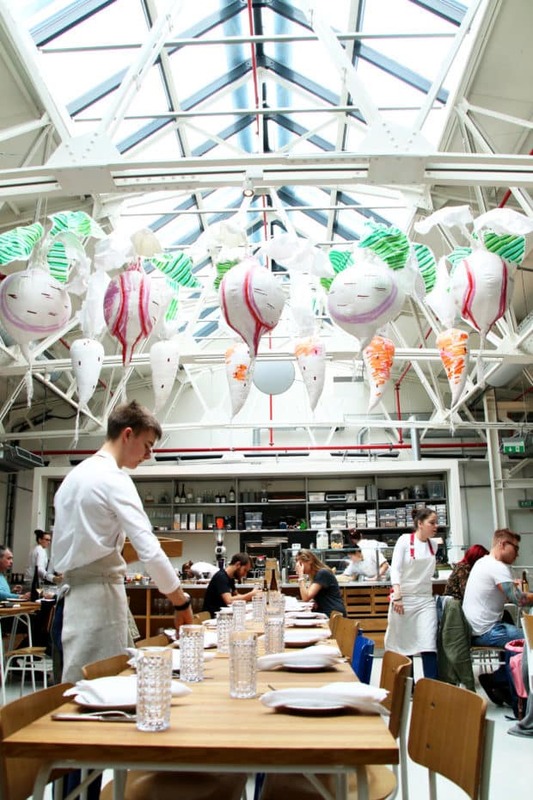 With a bright, crisp setting (and whimsical vegetables hanging from the ceiling upstairs), the restaurant is alive and bustling. Every element of Eska draws you in from the open kitchens right down to the purposefully mismatched plates and silverware. I could gush about every little detail for hours, but the biggest selling point here is the food. 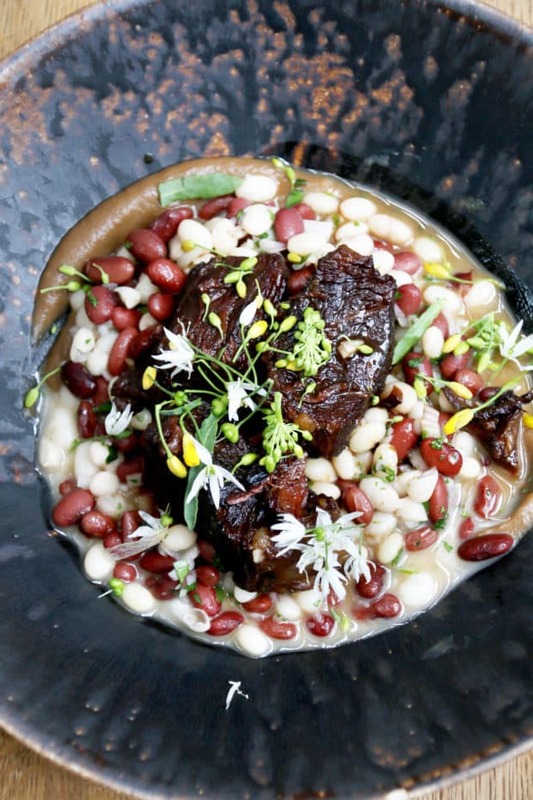 I am a big advocate for Michelin Bib Gourmet winners because they have a lower price tag and often more thought-provoking and delicious food. I mean, INSANELY good food. 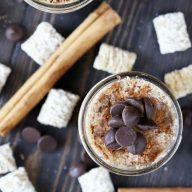 It’s the kind of meal you would expect to drop hundreds of dollars for, but you don’t have to break the bank. 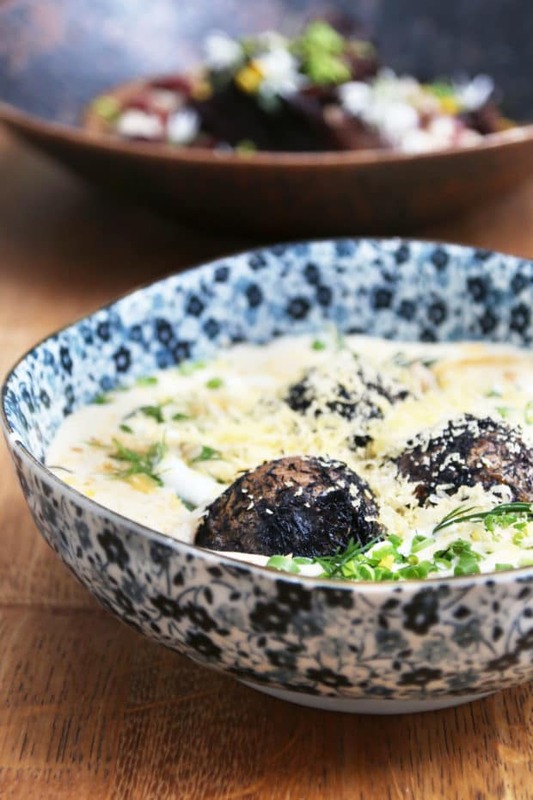 Original, bursting with life, and serving up innovative food, you absolutely can’t miss Eska. Recommended Bites: Homemade bread and butter that’s creamy hand churned and served up with a hearty bread that you’ll find in Prague (but none that are quite as tasty as theirs); Potatoes in Ash which are ashy charred potatoes served in a creamy egg-based creamy sauce with dill and cheese that makes a warm and gooey comforting bowl of good richness; Roast Beef Neck with red wine and onion that literally melts in your mouth; a traditional Czech Kremrole – aka a light marshmallowy cream-filled dessert surrounded by airy and flaky pastry that goes oh-so perfectly with an espresso at the end of a meal. When we first arrived in Prague, we were exhausted. It had been a long day of travel, we’d already been traveling for about a week, and we couldn’t find any good food at the airport before we left Brussels. It was a bad combination. After arriving late in Prague, we asked the gems at the front desk of the hotel (more details below!) for a nearby recommendation and they steered us towards the chain Kolkovna Olympia in the Little Quarter. This was just the down-home comfort food that we wanted to introduce us to authentic Czech food. The local place was lively and jumping on a weeknight with local, flavorful food being served up late, cheap chilled beer, and reasonable priced for a reliable meal. 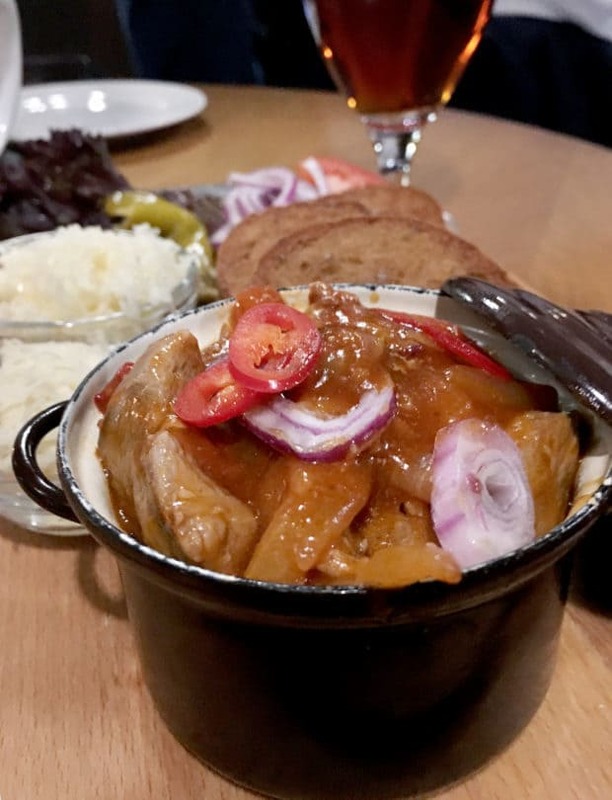 Recommended Bites: Devil’s Toast with pork, spicy pepper, onion, sauerkraut and cheese on the side with bread served up in a tiny pot of comfort; Goulash served with bread and potato pancakes that is thick, warm and sticks to your bones to balance out all the Czech beer. This was a random find when the Man and I were walking through the Jewish Quarter. We wrapped up the Spanish Synagogue history and saw this quirky. 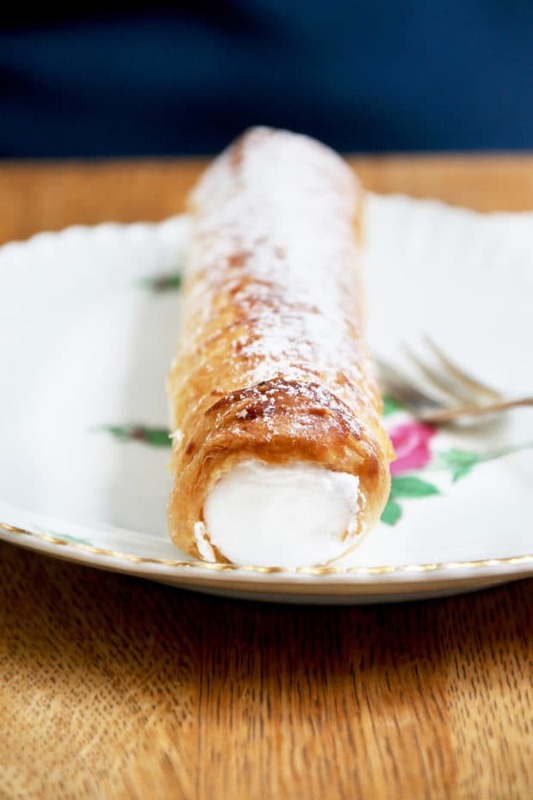 eclectic little cafe boasting fresh pastries and mulled wine. 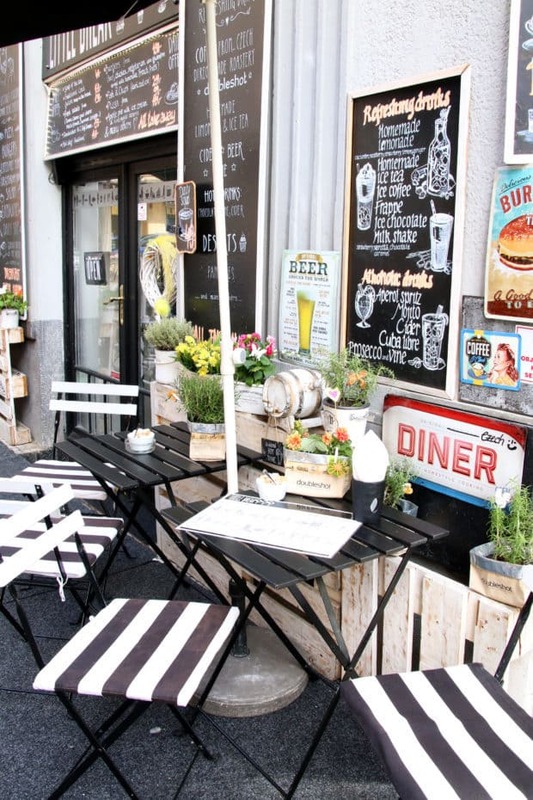 Nestled into a side street is Little Break, a funky cool little cafe that is simply irresistible. The fun decor and whimsical atmosphere catches your eye, and as you walk in the quirky cuteness takes over. 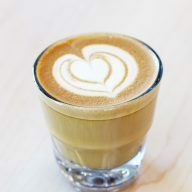 With wood, chalkboard signs and little details at every turn (including pillows and blankets on benches to snuggle up with), you can get your coffee and sweets fix in style. 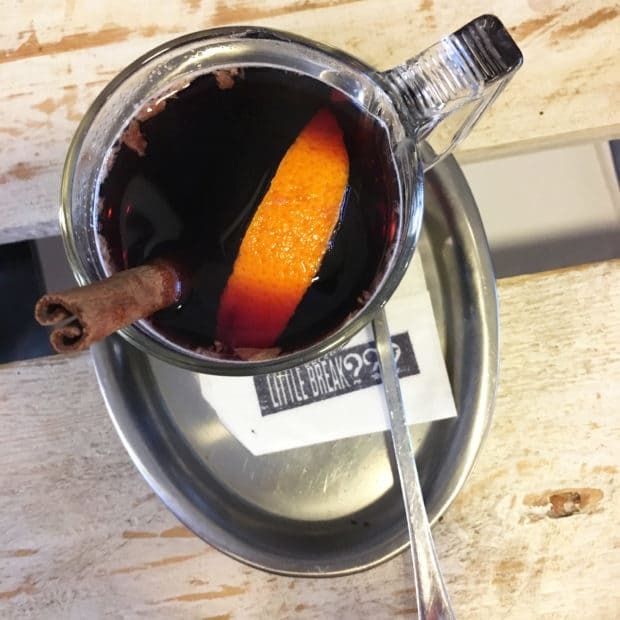 Recommended Bites: Apple Streudel with a creamy rich sweet cream ice cream to pair with it; Mulled Wine with cinnamon and orange (SO much better than the street carts that are flooded with mulled wine at every stop); Irish coffee that is strong and not too sweet. Recommended Bites: Hearty sausages, fried cheese and their potatoes and bread are all delicious snacks (and make for a great lunch!). 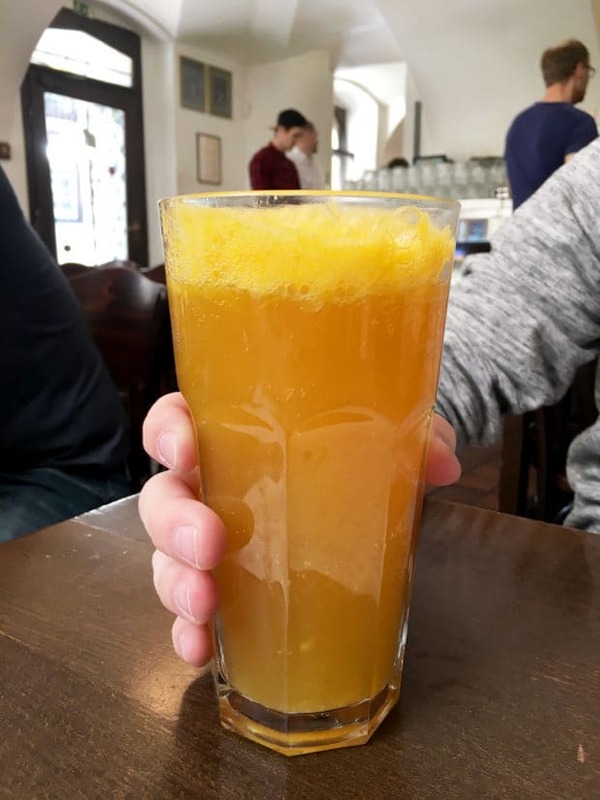 Also, give the beer and orange soda concoction a try… I know it sounds absolutely insane, but it is DELISH and surprisingly refreshing! 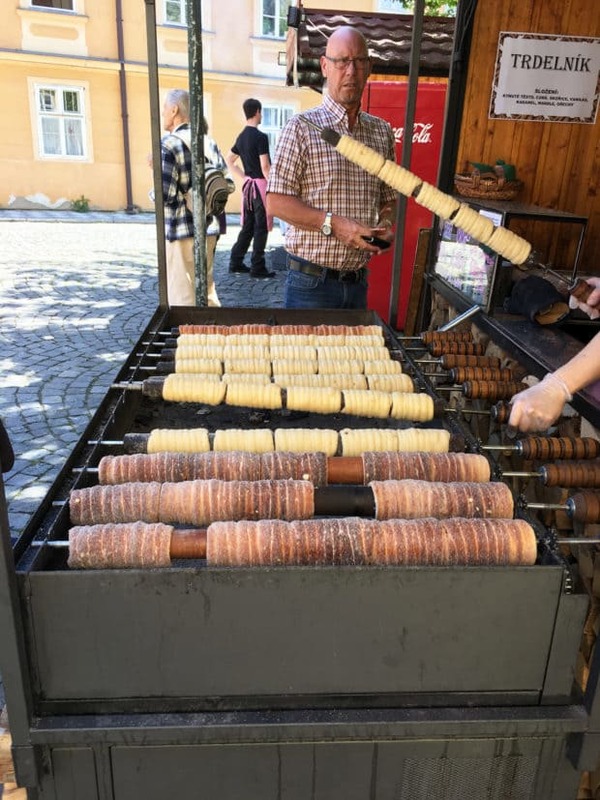 Random Sidenote: Make sure you grab a Trdelník from a street cart around the city! SO YUMMY. 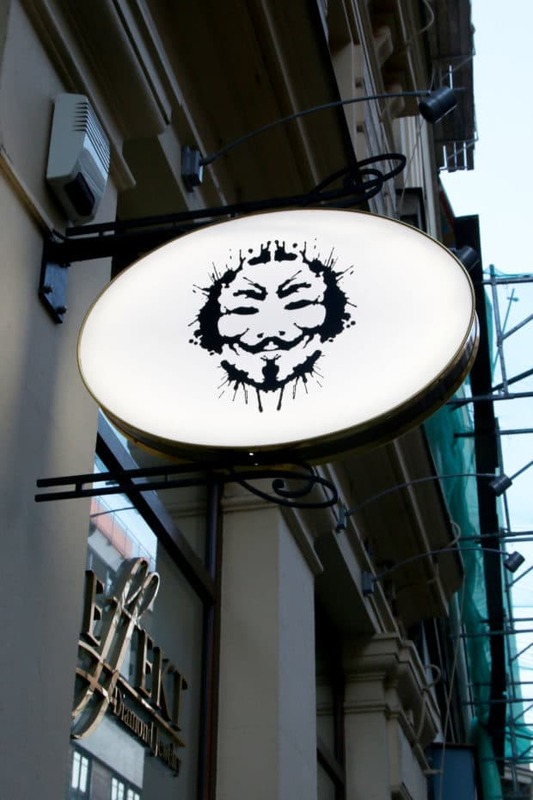 If you are going to get cocktails in Prague, drop EVERYTHING and run to AnonymouS Shrink’s Office. The all-inclusive experience is something that you cannot get in any other bar (at least none that I’ve ever been to myself) and it’s for the true cocktail connoisseur. From the moment you sit down, you are immersed in a dark and sultry world. First, you are served magical cordials (I’m talking Mary Poppins magic where the liquid changes color when it hits the glass and turns another color in the glass right next to it! As you sip, you are handed a menu full of Rorschach inkblots depicting different images and colors. You are asked to pick the one that appeals to you the most, but that’s not simply it. You are asked to explain why you picked this Rorschach inkblot and are even asked additional questions about the flavors you tend to lean towards. The bartender then whisks away to make your drinks and you are left to sink into rich leather couches with old jazz cascading through brick columns. The whole experience simply sang to my heart. The bartenders actually care about building a unique experience for their patrons. You never know what you’re going to experience each time you visit. What you DO know is you’ll have a completely unique experience and amazing cocktails with homemade bitters and blends (they even make their own bitters with a spray of oak barrel essence… I die). Recommended Sips: The card I chose had fiery red and spicy looking peppers all over it so I ended up with a smoky homemade Bloody Mary made with peppers and tomatoes that is the freshest I’ve ever had. The mezcal added extra depth and the tortilla chips and cheese on top were just icing on the cocktail cake (I was so inspired I even made my own version of the Bloody Mary!) The Man chose a simpler card that earned him a smooth whiskey cocktail with lemon rind garnish that was rubbed on his dominant drinking hand. I thought it was odd and the bartender explained it was to give you the lemon essence without it being lost of the rim of the glass or adding extra bitter flavor to the cocktail itself from the rind. It’s this attention to detail that makes this place 100%. If you are getting thirsty in Old Town, take a break from sightseeing and step into this fun bar with a playful banking/bank-robbing theme. 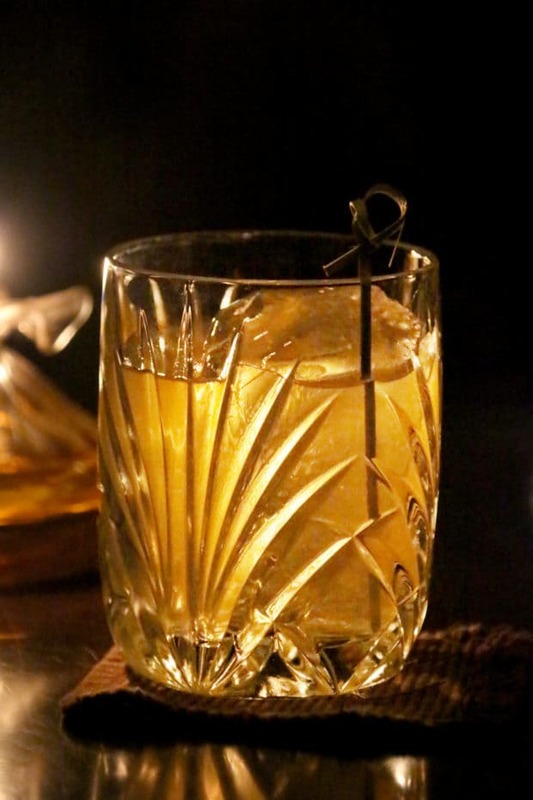 With creative cocktails based on the great bank robbers in history, you’ll find that this spot pulls together the theme nicely and makes you take a step back in time. 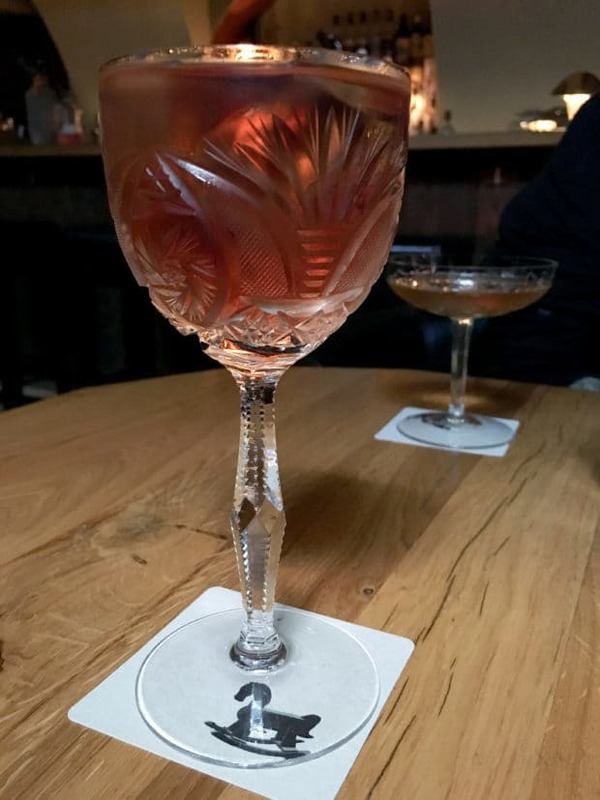 Another tiny cocktail spot to squeeze in if you have time is Parlour. 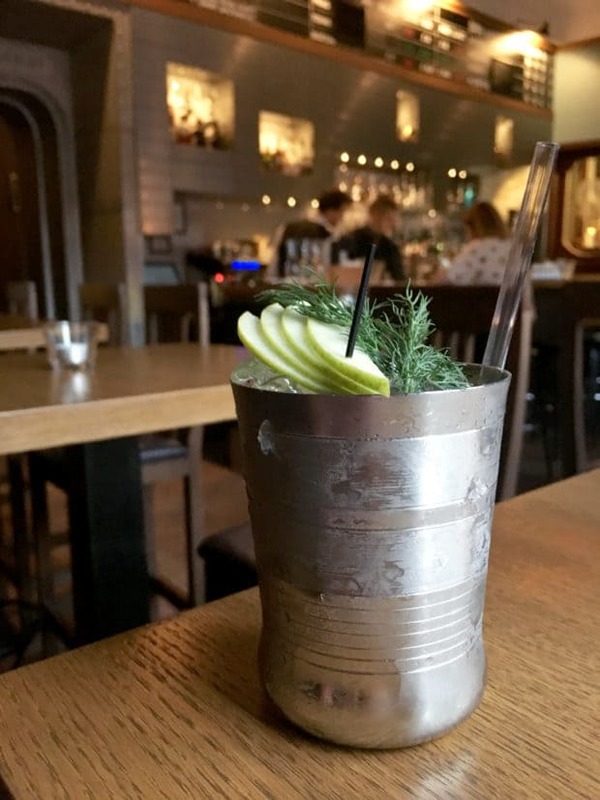 Yet again this bar is a great example of the cocktail prowess taking over Prague and actually making it about the customer and not just the menu. 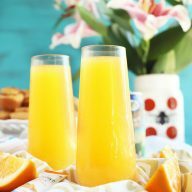 The bartenders here will simply get a taste of the flavors you like and will create something tasty to tickle your taste buds with. Located in a revamped cellar, you’ll feel just like a local in this cozy bar. 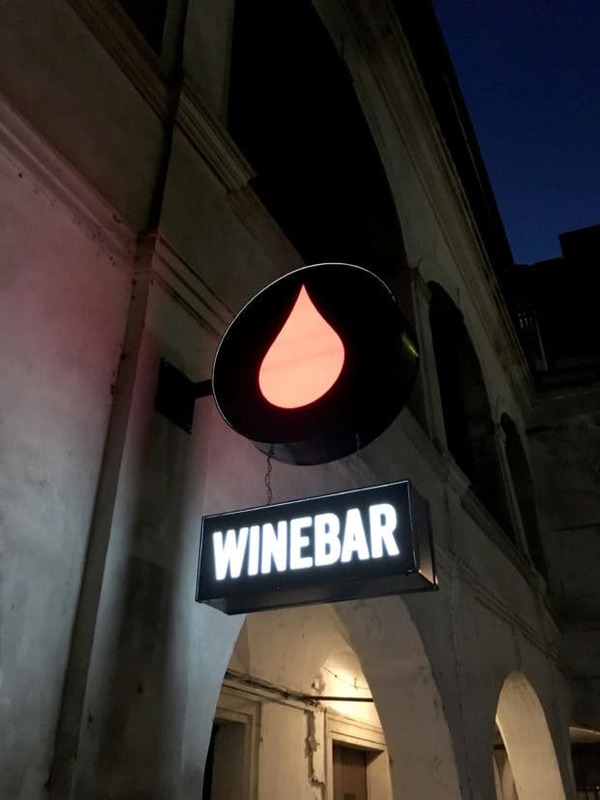 Not only does Prague have a killer beer and cocktail scene, their wine bars are something out of a magazine… We stumbled upon this little wine bar in New Town for a break from beer and instantly I was transported to Southern France. 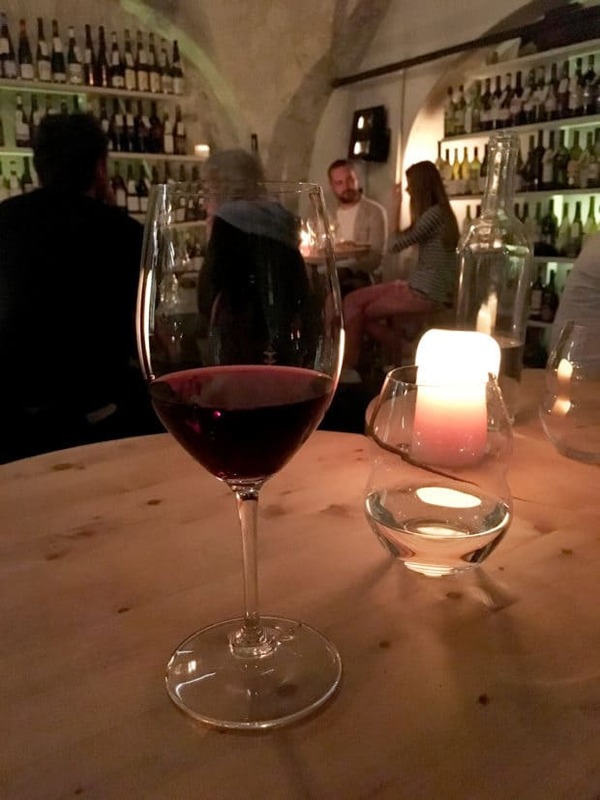 Sitting on a white couch sipping a full-bodied red, I could hardly believe I was sitting in a wine bar in the middle of Prague. This wine bar has such a lovely personality and the owner is so knowledgable, you’ll be able to spent hours sipping the best of French grapes. OMG this wine bar is all the things I want a wine bar to be, my friends… When I walked into the lively wine bar, I was enchanted. 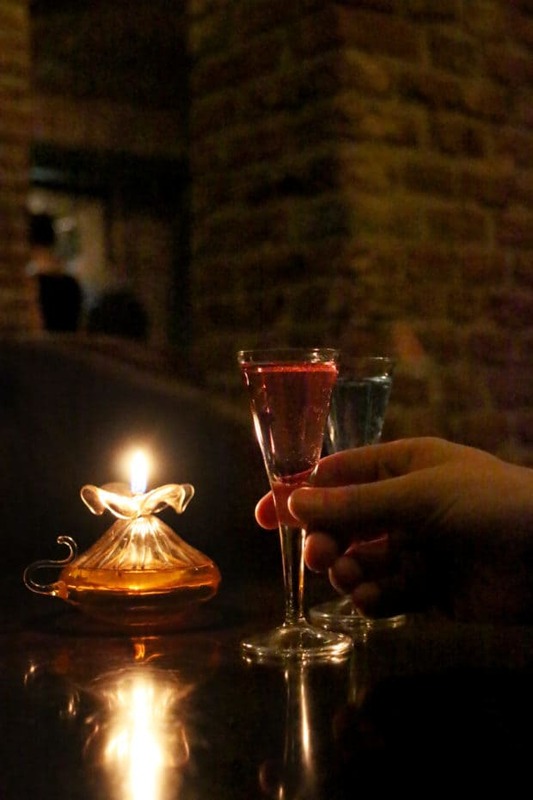 The dimly lit bar is honestly one of the best places to cozy up with your boo for a glass or two of wine. The main thing that stole my heart was how they flung the windows wide open and let you snuggle up in the window bays. There were thick furry blankets to sit on and small tables with candles EVERYWHERE. You feel like you are in your own little corner of the world, all romantic and snuggled up. The best part is if you are staying at The Nicholas Hotel Residence (see more below), you can buy a bottle and finish it back in your room (with REAL glasses and a fridge to chill whatever wine you don’t drink!). This stop was SUCH a random one. The Man and I were researching beer spots in Prague before we left and we stumbled upon a video of this beer spa in the heart of Prague. At first, it seemed silly. Bathing in hops in wooden tubs with unlimited beer? It must be a joke… But then we read more about it and realized the benefits of the hops and yeast therapy. Plus it included a massage, so why not try it? 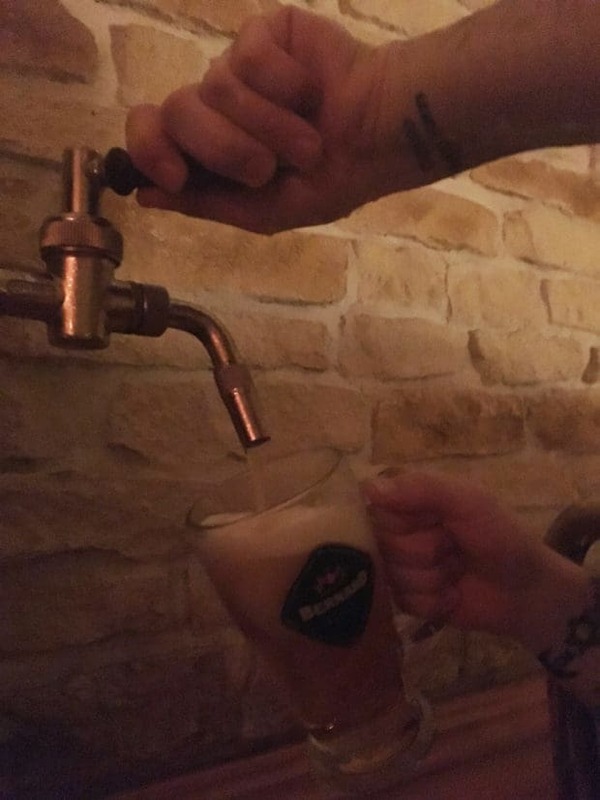 This is the number one thing I recommend doing in Prague. Hands down. It’s basically a spa treatment but with unlimited tasty Bernard beer! 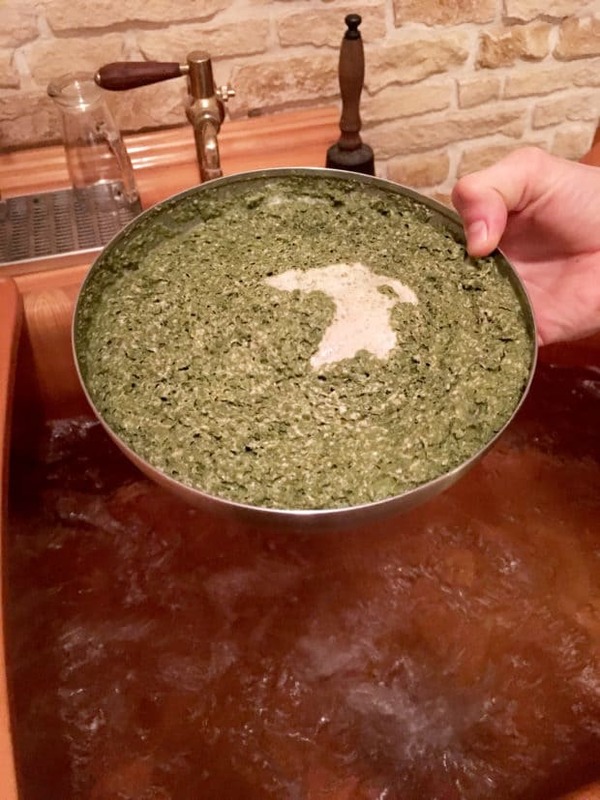 You can kick back and relax in the bubbling bathtubs for a half hour, then get whisked away to be bundled in heated blankets to let the hops and other natural ingredients do their thing. Finish up with a massage and you are sent on your way with a full beer of your choice. Oh did I mention it was unlimited beer alongside all of this spa happiness? It might sound weird but it was SO much fun. I’m seriously thinking about opening a beer spa here in Denver because it would go over lie GANGBUSTERS. Of course you have to hit the Charles Bridge (and you’ll easily do so as you make your way from the hotel I LOVED staying at – see below for more details!) The sculptures and the view of the city is just stunning. 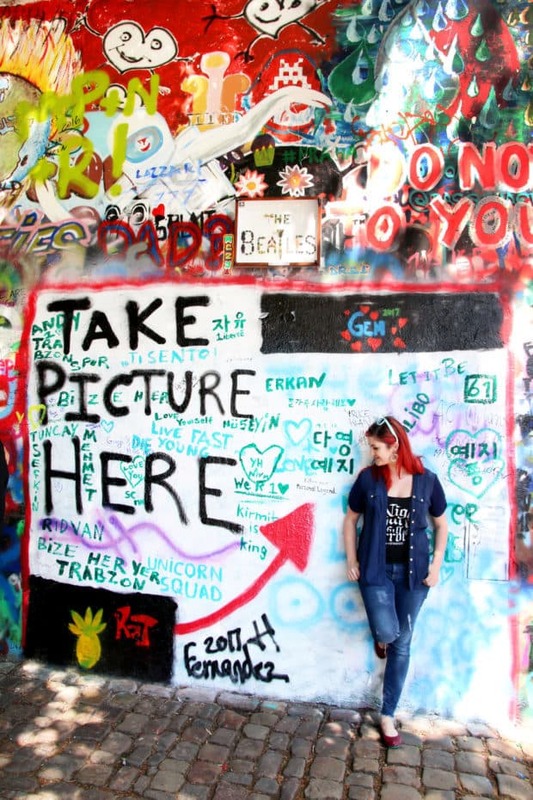 You turn a corner and bam, a color explosion on a long wall dedicated to peace and love. 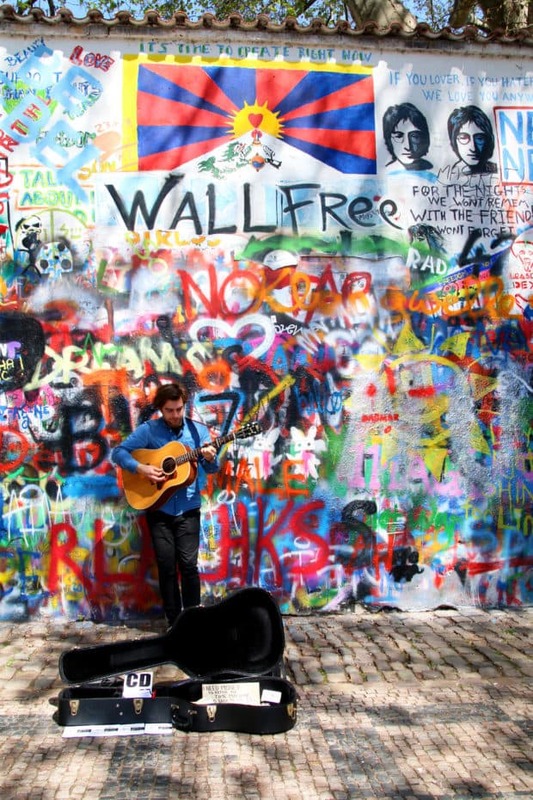 The quotes written on the wall, the bright colors, and, if you’re lucky, an amazing singer strumming his guitar with Beatles songs filling the air. It’s downright moving, especially if you catch it earlier in the day before too many people swarm the place. 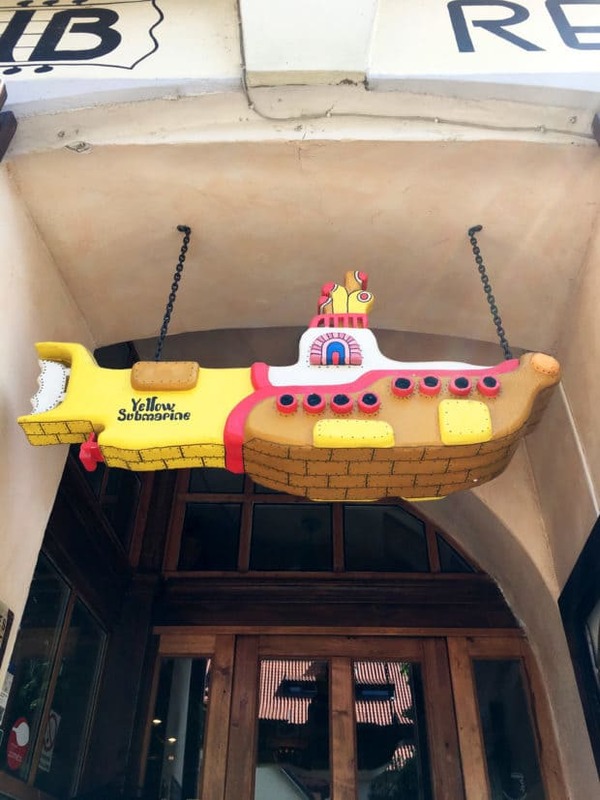 Also, hit the Yellow Submarine for a pint afterwards. Because The Beatles. Forever. Walking around the Jewish Quarter with Rick Steves Prague was the best way to experience this neighborhood. I recommend just getting entry to the Old New Synagogue and observing the outside of the others while reading the history about them through Rick Steves. You save a little money, get the history and still get to see the inside of the oldest active synagogue in Prague. 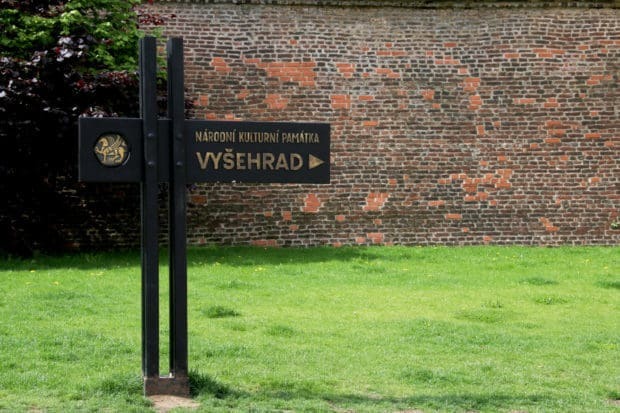 I LOVED wandering around this fortress. Again the Rick Steves’ guide comes in handy with the history and a wonderful walking tour so you don’t miss a single thing. Not to mention, the cemetery is absolutely breathtaking. I would normally never say this about a cemetery but this one is truly unique. 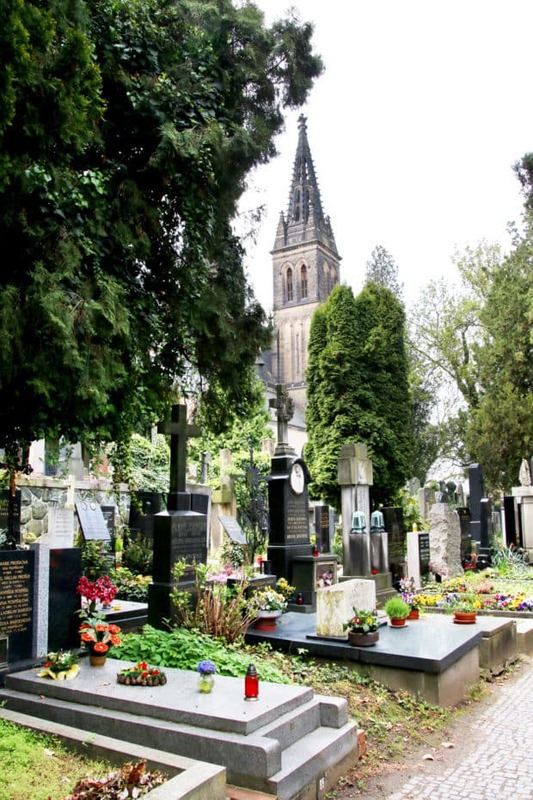 With gorgeous tombstones and a serene silence, wandering through the cemetery is quite moving. I honestly can’t describe it well enough in words so photos will have to do. Now the main square in the old town is pretty crowded during the day, but it’s worth braving the crowds once to see the Astronomical Clock ring at the top of the hour. 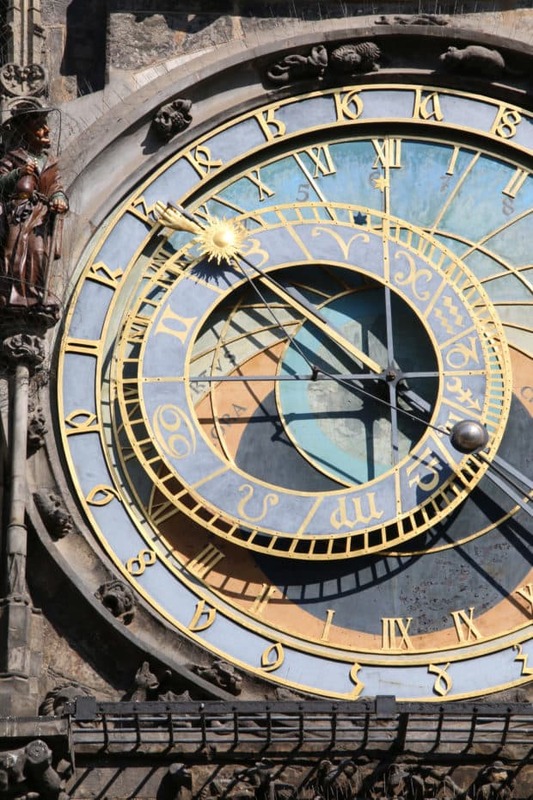 With all the intricate movements, it’s hard to believe this clock was built 600 years ago. All the movement is quite intricate and detailed! 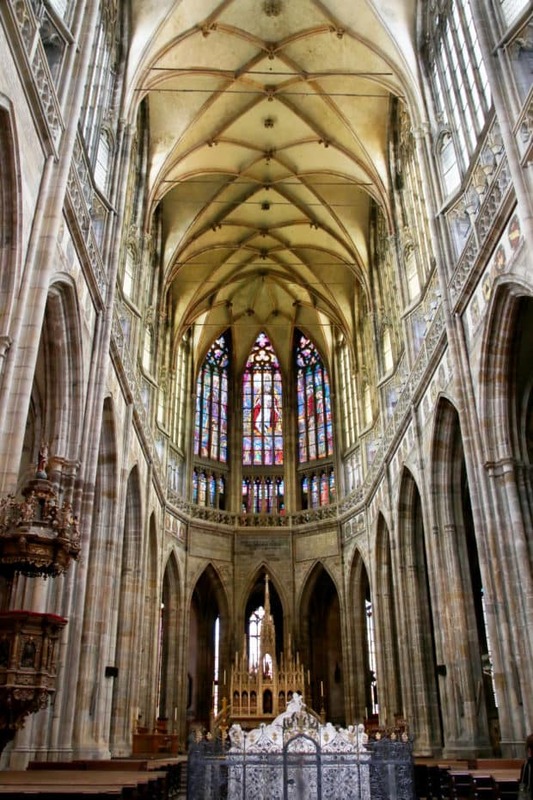 Another one of the more surprising things that we did in Prague was this tour. 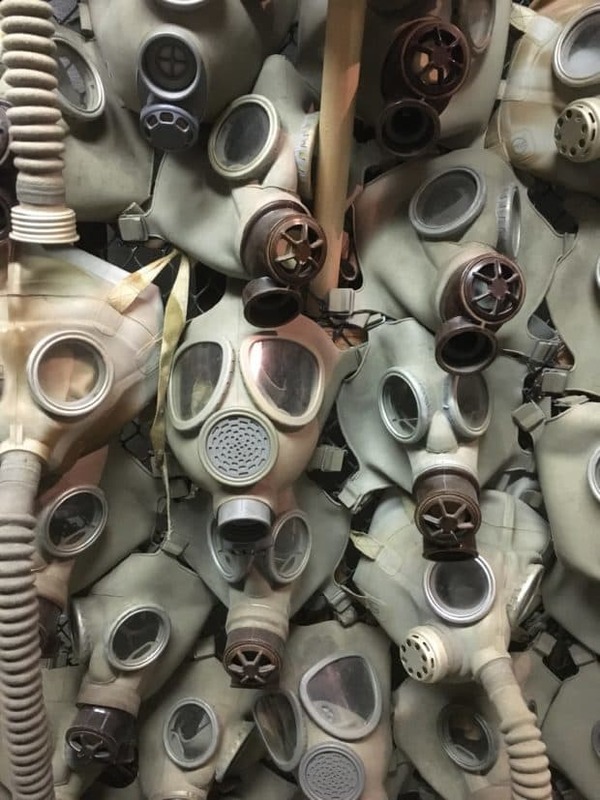 Did you know that there is a surviving nuclear bunker from the 1950s buried deep beneath the city of Prague? fit 5000 people, which is insane to think about once you are down there, and it’s filled with preserved rooms, communism relics and insane amounts of history. 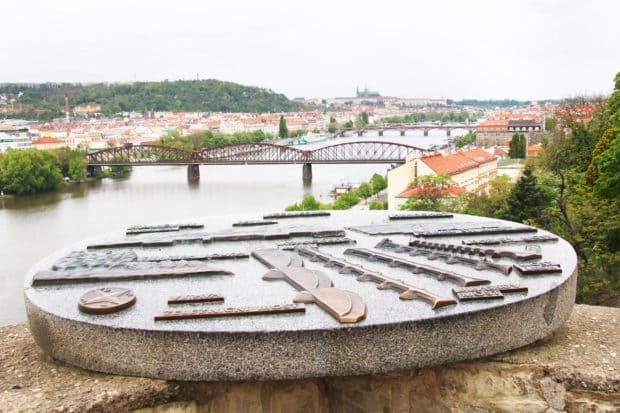 it’s amazing to think that Prague so recently got out from under the communist regime! Staying at The Nicholas Hotel & Residence was a pure joy. The small boutique hotel is full of gorgeous suites that give you more than just a bed and a bathroom. Here you have room to spread out and breathe. Even in the smallest room, there’s a sitting area, a kitchen and real glasses to enjoy a beer or glass of wine with at the end of the night. The extra space in a hotel is a godsend when you are lugging around large suitcases and snapping up all the souvenirs you can find. 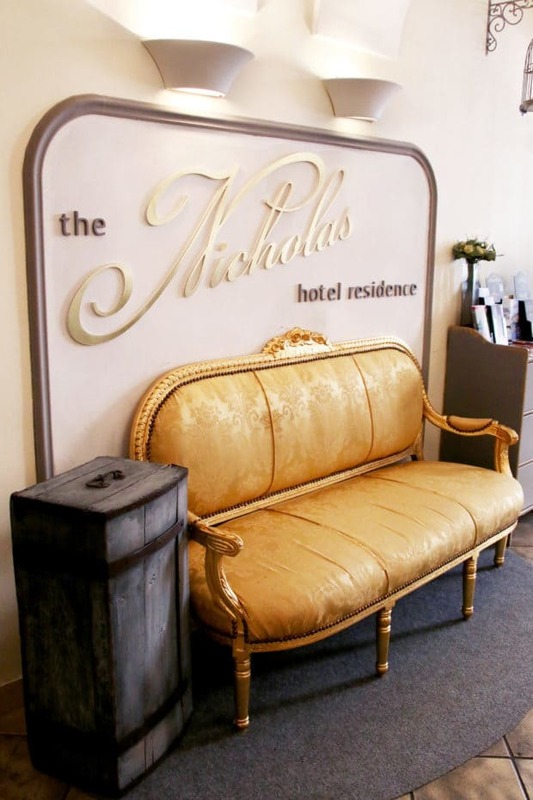 Instead of the big box hotels, The Nicholas Hotel & Residence is rich and homey. No matter what you want to experience in the city, you are close by. The hotel is located just East of the Charles bridge (a 2 min walk) with a metro stop literally just outside the front door. Everything is close but you aren’t overloaded by tourists like all the hotels in the center of town. There’s also a breakfast spread that is TO DIE FOR, and is included with the price (GAH). 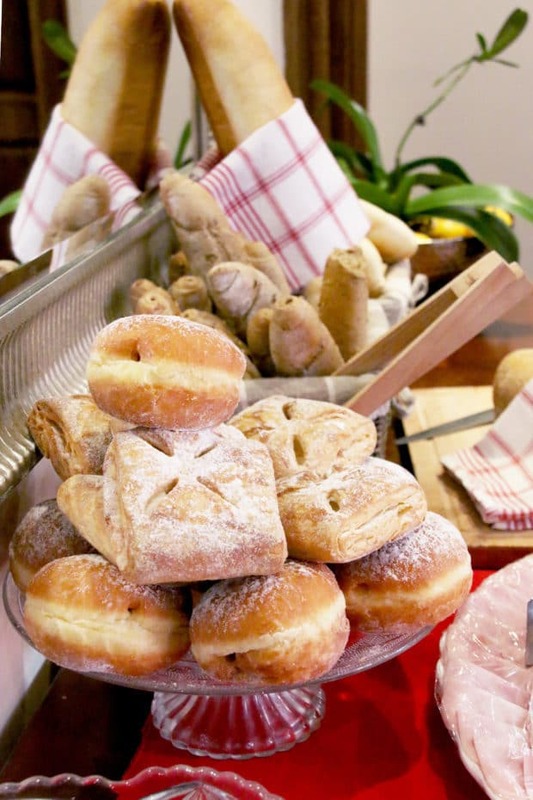 There’s pastries, espresso, fruit, fruit juice, breads, and so much more. Honestly, my biggest highlight was the staff. The front desk staff is extremely helpful, friendly and actually cares about you getting to know their home city. 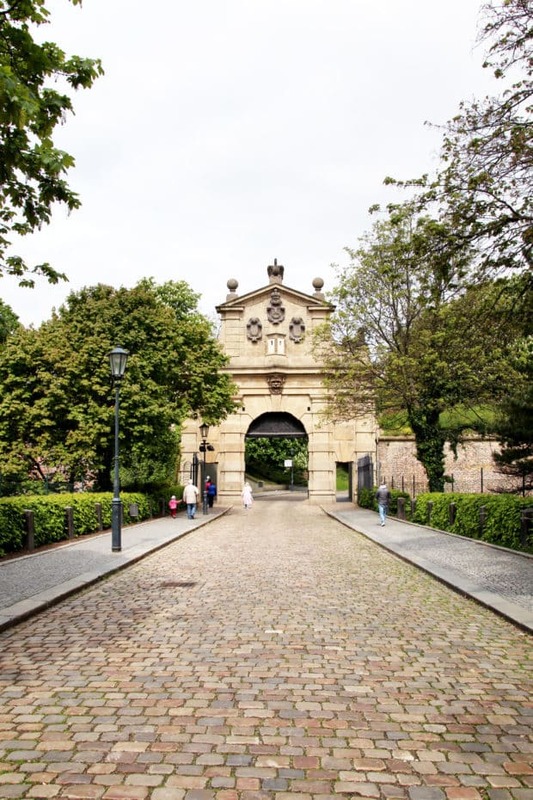 They will direct you to whatever you are looking for and they’ll even tell you about hidden gems throughout the city so you truly get a feel for Prague. 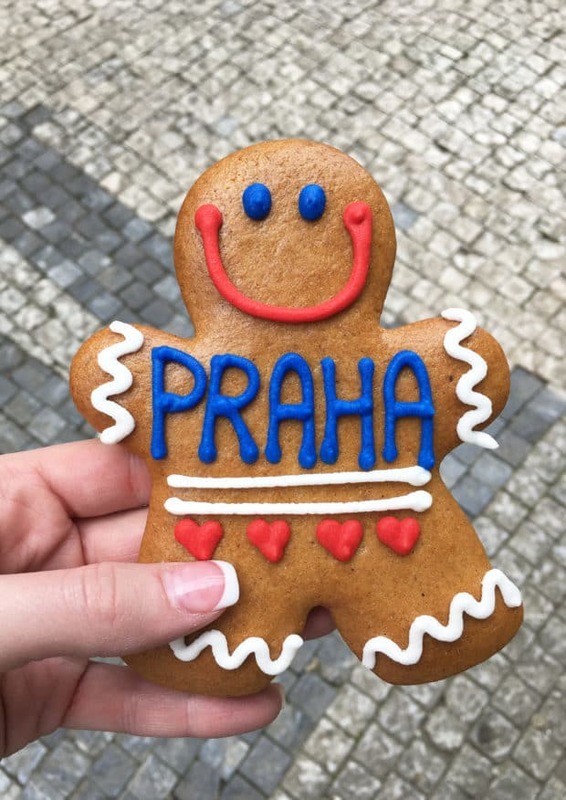 If you haven’t booked your ticket to Prague, what are you waiting for? It’s simply unforgettable. 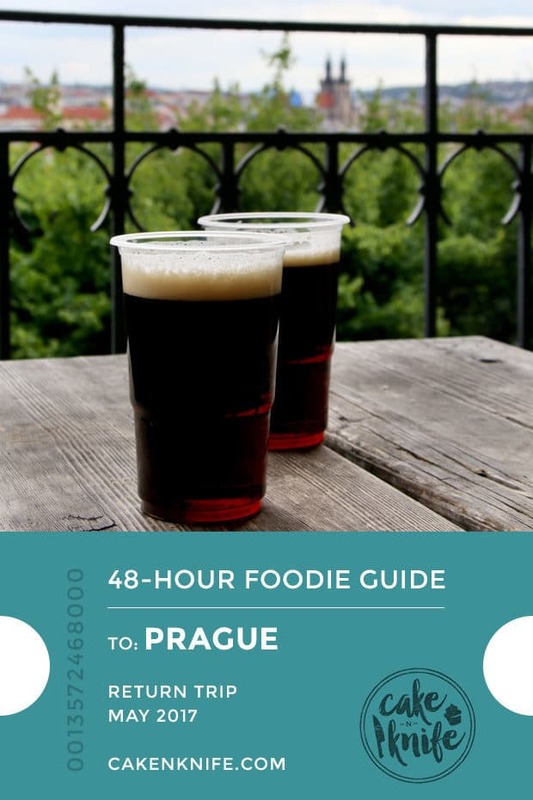 Pin this 48 Hour Foodie Guide to Prague for later!